Staring at those photos of August’s room while I edited them and wrote up my post last week made it increasingly evident that the gray rug in there needed to go. I rolled it up later that day while Brandon had all of the kids at the park, and I rearranged the furniture while they were gone too. August’s reaction could have gone two ways. Mild interest in the novelty of the new, or absolute hatred with a side of resistance to change. When he got back, I called him upstairs and told him I had a surprise for him in his room. I was met with a hug and the biggest smile. “Oh, it’s so beautiful!” Not what I expected to come out of his mouth, but I’ll take it. I brought in a white rug that we already owned so that there would still be a soft surface to play on (or fall out of bed onto). I feel like this is about as good as that wall color can look, and it’s not looking great. The curtains and artwork though, I like, and those are definitely staying. 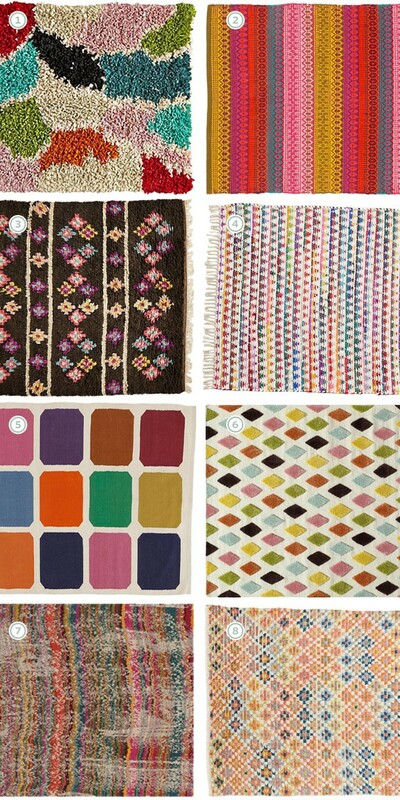 Our rug has long been discontinued, but these are similar if you’re in the market. What do you think? Are there any other good options that I may have missed? I love the green, if not that color. Could you go darker/more dramatic? I’ve been dying to find somewhere to put a deep hunter green a la http://elledecoration.se/files/2012/11/en-gomd-skatt4.jpg, and I think it would look gorgeous with all that wood. If I stay with green, a more dramatic shade like that would be the way to go. A blue like this could be nice too though. I’m kind of a fan of your unhappy green, but oh do I love that blue! Either way, I’m interested to see what you come up with. I like the white rug. It reminds me think of rocks and stones which makes me think of dinosaurs which makes me think of little boys. How’s that for random? The neutral rugs are fun too though. I like the colour of #1. I like the white rug too. It stands out nicely from the wood floor and it reflects the colour combination in the curtains. I would stick with it. I’m not a huge fan of that particular green – a deeper one might work better. 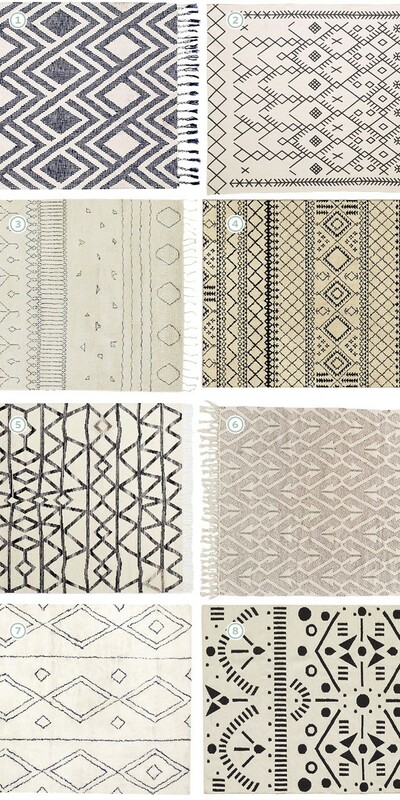 I like all the rugs in the “neutral and geometric” section! 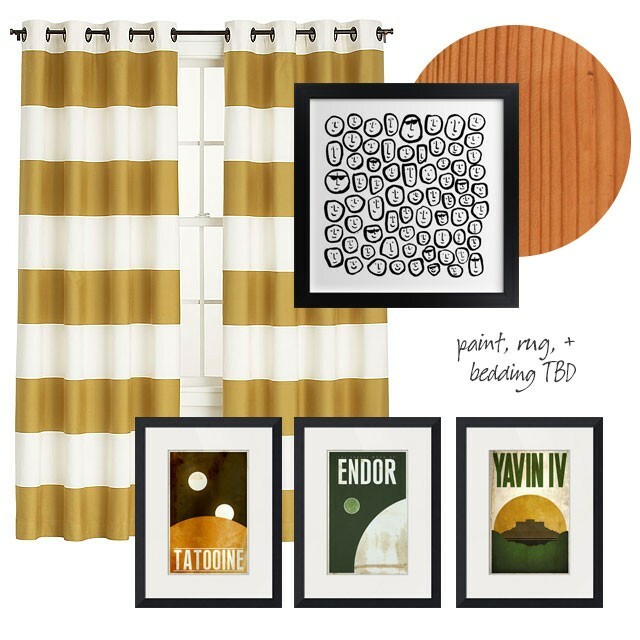 Do you mind sharing where you got the Star Wars planet posters? They’re by Justin Van Gendersen, but I don’t think they’re for sale anymore. I bought them years ago. I like what you’ve got! It works well with the face print! I don’t really like any of the colorful kid rugs. I do like some of the more subtle natural and geometric options, but I can’t really imagine those (especially the ones with the more organic lines) working with the striped curtains. My vote is the one you’ve got, or one of the ivory textured guys. i love the colorful #1 rug! It looks fun and cheerful. Would a neutral wall make the room brighter? That green though. 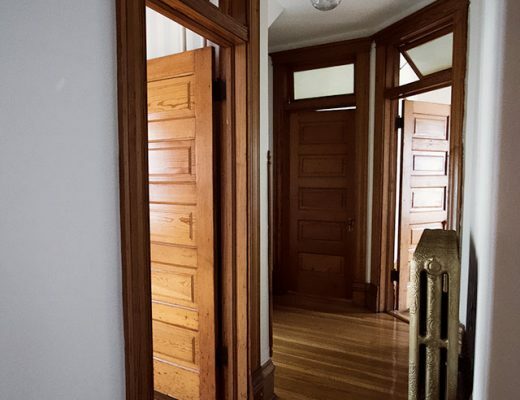 A neutral could be OK, but not white (because it doesn’t get enough daylight) and not gray (because I’m not into the trend, and it doesn’t look that great with our wood trim). So agree. I didn’t notice the blue option yesterday…it’s gorgeous! I love the texture of that rug, and the more I see it the more I like the green. It looks so warm and cozy with the wood shutters, and the gold and white striped drapes really wow against it. I like curtains and the artwork, I’m on the fence about the rug. I think you should either keep the one you’ve got or go with #8 or #1 in the geometric section. I think his room would look great with navy walls and grey bedding or grey walls and navy bedding. Have you thought about painting his bed frame? I think black would look neat and help the bed frame fade into the background. Yep, the bed will be painted! Likely black, but that could change depending on what else ends up happening in the room. I don’t know. We keep messier activities like painting and playing with dough to other parts of the house where it’s easier to clean up, we don’t allow food or drinks (besides water) upstairs, and everyone (usually) takes their shoes off after coming in. The rug that’s in there now was in the nursery for Eleanor and again for August until we moved from the old house, and it still looks decent! Colorful #7 or #8! I think ivory with a kid will end up a dull grey thanks to dirt and play. Geometric #5 is cool too. True, but any wool rug is going to be prone to shedding for a while at first. I really, really love #4 of the first (colorful) group. But, you know. I don’t have the best rapport with decorating for little boys, apparently, so feel free to ignore my opinion. Ha! Ha! I really did not expect the positive reaction I got. Eleanor is very into her room and her environment around her, but August doesn’t seem to notice as much. I asked what colors he likes, what he wanted in his room, etc., and he didn’t offer any suggestions. That boy loves his mama. I have the Chindi rag rug from UO. I love it except if you get it wet the colors will run. Oh, good to know, thanks. 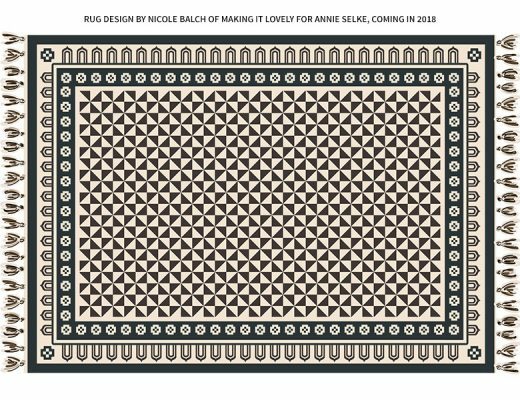 I love every rug you’ve shown, but for August’s room I would chose no. 2. I think it would add so many lovely colors but also work with the curtains and wall color–or am I being too matchy? I love that rug! I would paint the walls a different color if I went with it though. I agree with other commenters that buying a new cream rug seems like a less-than-ideal solution for the room of a small child. It’s nothing against boys – girls can be just as messy! The mood board has a lot of yellow tones in it (curtains, woodwork, art), so I’d suggest painting the room a cooler color that compliments, rather than fights the yellows in the rest of the room (a neutral or cold gray, a mid-to-dark blue, or a teal – maybe SW’s Oceanside, Blue Peacock, or Ionian). I think that all other elements of the room will look a lot better once the room is a new color. Agreed. Though I feel like the rugs in bedrooms stay pretty clean! Maybe because (as I mentioned a few comments up) we confine the messier activities to other areas? I think #8 in the Geometric section could be fun. I can imagine all those shapes being landing pads for aliens or roads for trucks. Love the bedding – where did you get that green blanket from? The Land of Nod outlet store, a few years ago. I’m solidly in the colorful rug camp. I think it could tie together the green and gold, and serve the wall color well. I like #4! A late contender in the ‘neutral & geometric’ arena: the Kaleidoscope Kilim Rug (which is not a kilim at all, but the design is inspired by one) from PB Teen. Paint the darn room! A new rug won’t make that gross green any better. I think it’s perfect for kids rooms! stick with what you’ve got! It’s a kids room, You’ll be doing it all over again in a few years anyway. Forget about painting it. It looks just fine. Better than just fine, August thinks it is BEAUTIFUL. What more could you possibly want? Leave it alone and spend the money on something else, or donate it to Habitat for Humanity. In the colourful vein I like 2 and 6 as they play well with drapes. I still like the green with the overall room plus I like that its so different from what might be expected in a Boys room (Blue) or all the shades of grey that are so omnipresent in décor today. 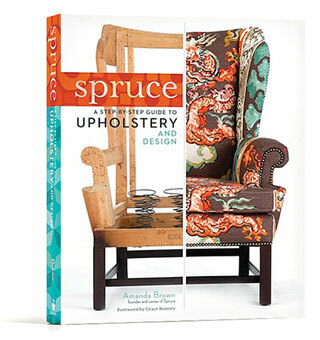 I guess Augusts not much for input but could you give him some catalogs with pictures of rugs or even color on other things and see what his opinion is? I was always surprised at how serious my sons would be when I would ask them to sit down and make a decision about what they really liked. We would go over what we had had for dinner in the last few weeks and I was surprised how they remembered and definitely had meals they had not liked. Not too many! I felt they appreciated being included in decision making and that I respected their opinions. Maybe August is still too young for this plus you’re the Decorator so maybe it would be frustrating trying to decorate to a very young child’s taste. I think the current rug looks great – nice pop of white/neutral (but not gray – no more graaaaaay!). It’s interesting that some commenters are suggesting more input from August. I did not get a say in how my room was decorated until I was 16 years old! I can’t believe I lived in a room that looked the same from the time I was 5 years old, till 16 – complete with matching pink floral comforter and curtains AND wallpaper! Oh, and a pink metal daybed with a heart shape in the middle. August is already leaps and bounds ahead with a cool room like that! Love the gray rug…reminds me of river stones and mimics the artwork! 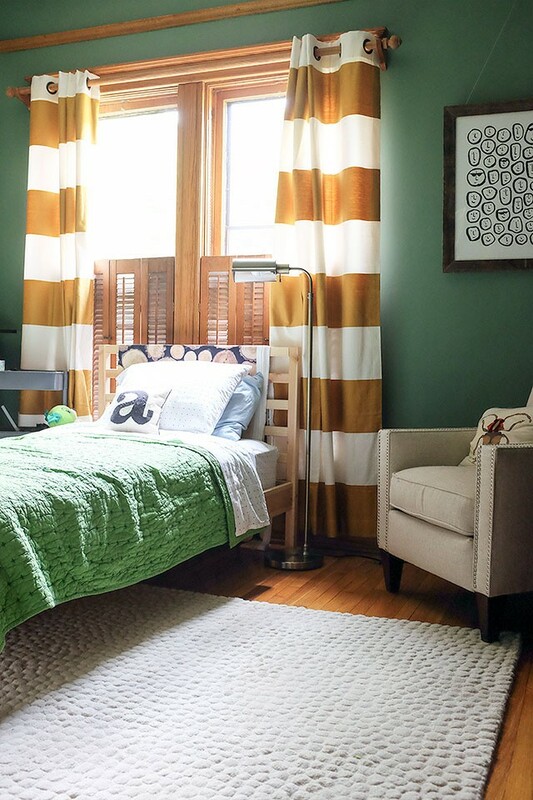 And, I’m dying over the striped drapes…loove the color! I think you’ve made lemonade out of the green walls! To me it now looks woodsy and calm! Where is the rug in your photo from?